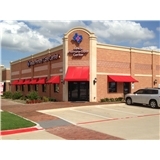 Texas Primary Care Center (Richardson) - Book Appointment Online! The medical professionals at Texas Primary Care Center are committed to treating you and your family with compassionate, personalized attention, while providing cost-effective, one-stop healthcare designed to prevent and treat disease and promote overall wellness. We’re open six days a week, and fully capable of managing chronic condition such high blood pressure, diabetes, thyroid problems, high cholesterol. For your convenience, we also have extended hours and weekends to take care of your minor emergencies such as fever, flu, urinary tract infections, upset stomach, allergies, work and sports related injuries. Had interaction with the nurse, what I believe was a grad student learning hands-on, and the doctor. All were professional, courteous, and expeditious.